Understanding English is a series of learning workbooks for children at Key Stage 2. Each book focuses on a particular aspect of literacy with explanations and teaching points, exercises, answers section and 'Now you try!' extension activities to ensure that learning is really secure. Punctuation is vital if the meaning of a sentence is to be understood. This book explains how to use all the main punctuation marks. It starts with the basics of writing sentences and ends with more complex punctuation, such as colons and semi-colons. 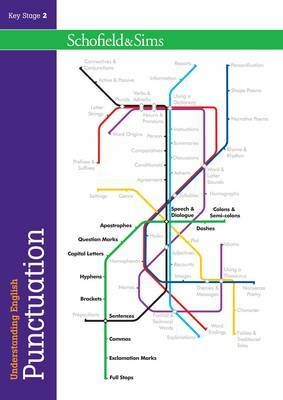 Full of examples and activities, the book also contains some fascinating facts on how punctuation developed. The Punctuation book includes: simple and complex sentences, question marks and exclamation marks, apostrophes, dialogue, brackets, hyphens and colons.